FileRiver is a file management web application. GdOS is a nanokernel based OS. It's goal is for embedded computers. GoldFinder is a simple IA application. A map with resources is generated with two type of bots. They need to cooperate to gather the maximum of resources on the map. This project was done during my scholarship. GoldMiner is a work on IA and Synchronisation beetween threads. A map with hole, gold and wall is generated, a start entry is added too and by this hole one or more bots are sended, their goal is to discover the entire map. The bot implementation is somewhat modular and two version are included, a dumb one, and a more smarter approach one. This project was done during my scholarship and cannot actually be release due to a library used that is closed and no more work on recent linux/QNX. An open version of the lib will come shortly. Krestore is an attempt to add a missing functionality on the TI calculator when it was made. The kernel way of programming needed the library to be non locked, and in case of a reset, everything that was not archived (and locked) is lost. Krestore try to give a solution for this by automaticaly "restore" the library from special folder after a reset. PLYView is an OpenGL project for viewing PLY files (see the links for more informations.) This project was done during my scholarship. The goal of this project was to make a greenhouse control application. This was made using QNX as main OS, and use a web application for controling it. Quick6502 is a MOS-6502 emulator that was made preliminary for the TI-NESulator project. The goal of this project is to make a simple, fast and modular 6502 emulator that can be used in multiple emulator without major changes. I made it too to replace the Marat Fayzulin 6502 emulator I used before in TI-NES but it's license was too restrictive. Quick6502 is currently used within TI-NESulator and TeORIC. STK is a simple X11 toolkit made in C++. It support at least button, draw zones and label. This project is undirectly related to the LIRMM Taipan h300 project. For this project a work was done with a graduating student of the LIRMM to provide a modular system for robotic devellopement. The major goal of this project was to provide the skeleton of the modules and a library for managing them. At least 6 modules for controling Taipan h300 was done during this project. TeOric is a new Oric Emulator. 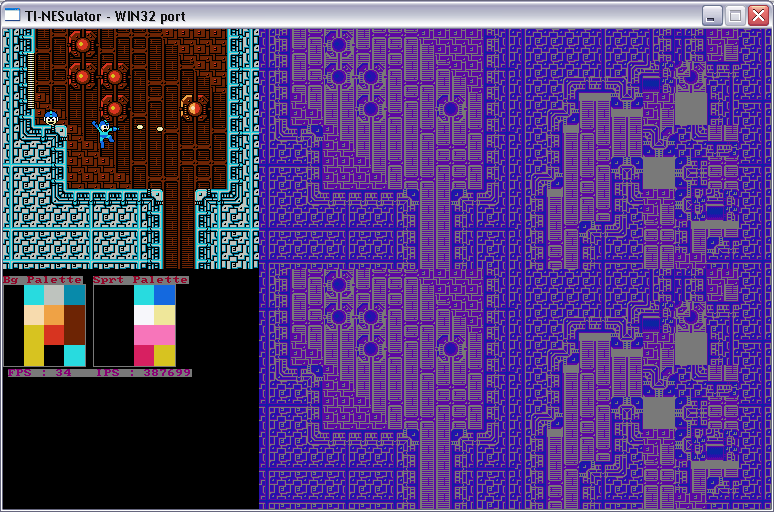 Large part of this emulator are based on the work for TI-NESulator thanks to its modularity. A simple proof of concept that will read EAN13 bar code from photo or scan. emu51 is a 8051 emulator that I found years ago on sourceforge, but it had bug and some missing features I needed at the moment. I made the changes and publish them here. gRPGe is an attempt to make a powerful 2D RPG engine. The devellopment is currently stalled, but some modules from it is used on other projects, and their evolution will be used back in. This is a simple postscript test project done during my scholarship. This is a Nintendo Entertainment System (aka NES) emulator. This project is about analysing, and reproducing the WonderSwan Bandai2001/Bandai2003 chip. This project will lead too to other parts like making a WonderSwan compatible Flash Cart.